EAW017076 ENGLAND (1948). 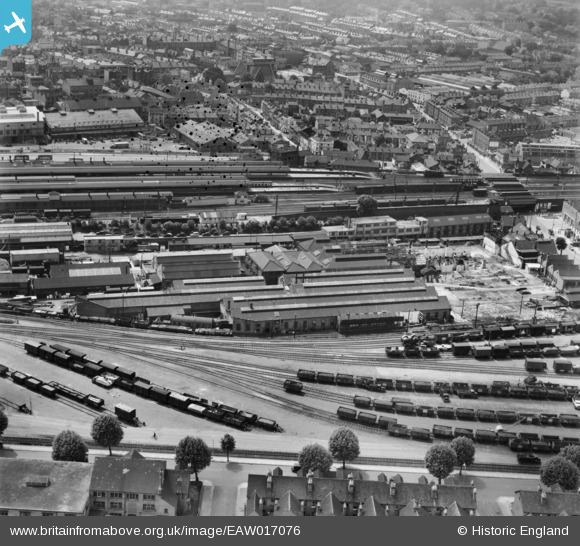 The British Railways Works and environs (Reading Signal Works), Reading, 1948. This image has been produced from a damaged negative. Title [EAW017076] The British Railways Works and environs (Reading Signal Works), Reading, 1948. This image has been produced from a damaged negative. Petrol powered shunting loco number 27. Gas carrying wagon for coach lighting.